I love to shop but as I’ve gotten older and started to become strict about being on a budget. I’ve started to curb my urges to shop by purchasing seasonal investment pieces. I’ll go on a few big shopping trips each season and buy staple pieces that I can wear again year after year. I would rather spend a little bit more money on a high-quality item that I will get a lot of wear out of than buying a bunch of cheaply made pieces of clothing that I might wear once. I like to take the quality over quantity approach. It’s really starting to feel like fall here in Atlanta, so I decided it’s time to reassess my wardrobe and add some new pieces to my collection. 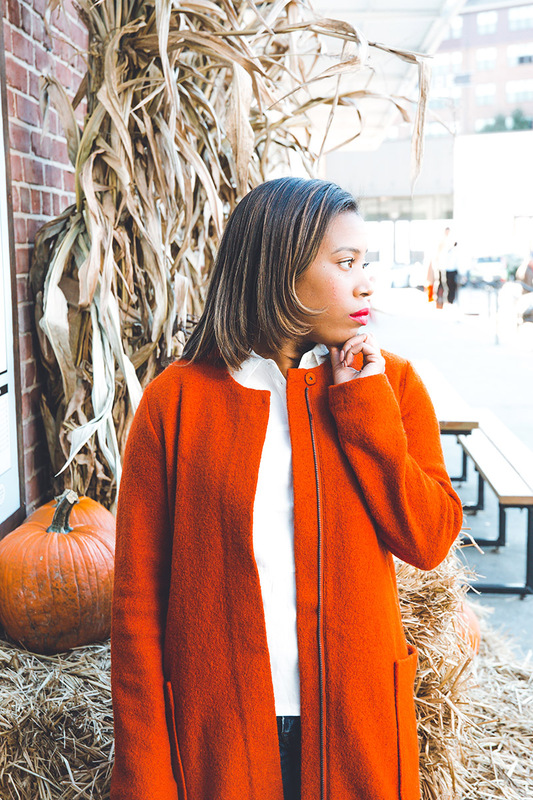 This year I was looking for the perfect fall statement coat that I could wear to work and on the weekends. 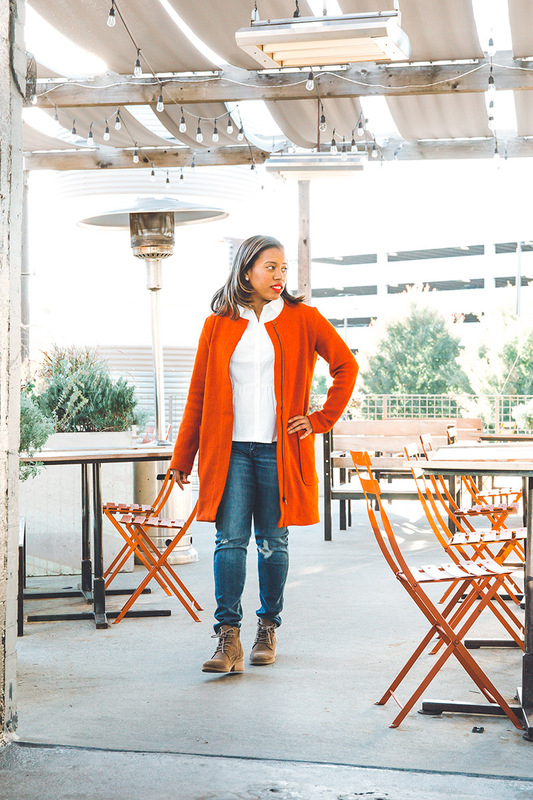 On a recent trip to TJMaxx, I discovered this burnt orange coat that I couldn’t pass up because it was such a great deal! The jacket was reasonably priced and under $100. I love the way the burnt orange color pops but remains versatile for everyday wear. It’s very lightweight and can be worn with jeans or a little black dress. What staple piece are you looking to add to your wardrobe this fall?